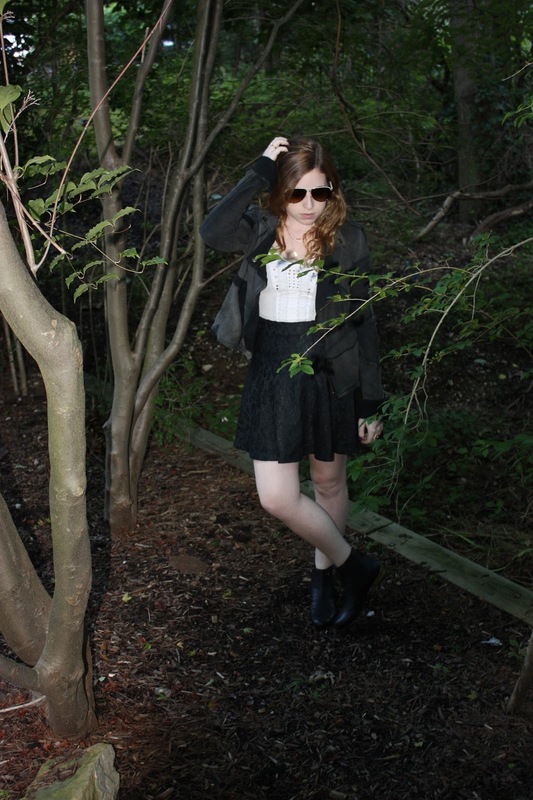 This Free People inspired outfit is for a contest I'm entering. The goal was to embody the Free People spirit, so I put on my new Free People Skirt, a very old Free People tank, and a great Free People Jacket. Then I ventured into the woods because it just seemed like the appropriate place to be. And I put on my new Tory Burch booties because I just couldn't resist an opportunity to wear them. You can't see it because there wasn't a good picture but the heel is gold. But don't worry I'll be wearing them quite often so there will be another picture.